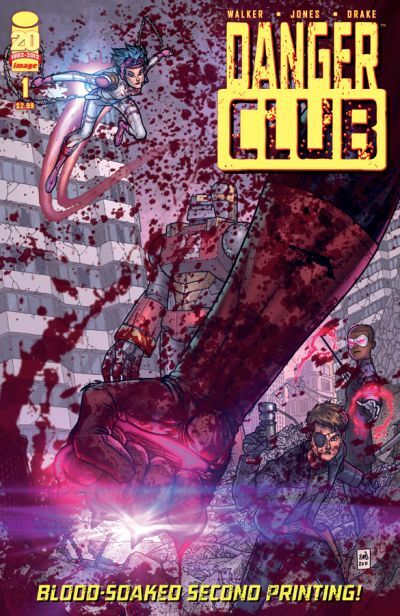 DANGER CLUB #1, the first issue of the new Image Comics superhero series by Landry Q. Walker and Eric Jones (Supergirl: Cosmic Adventures in the 8th Grade, Batman: The Brave and the Bold) has sold out at the distributor level a week before its release in stores on April 4. Image Comics has immediately sent the issue back to press. The second printing (FEB128147) will be in stores on May 2. DANGER CLUB #2 (MAR120479) will be in stores on May 16. 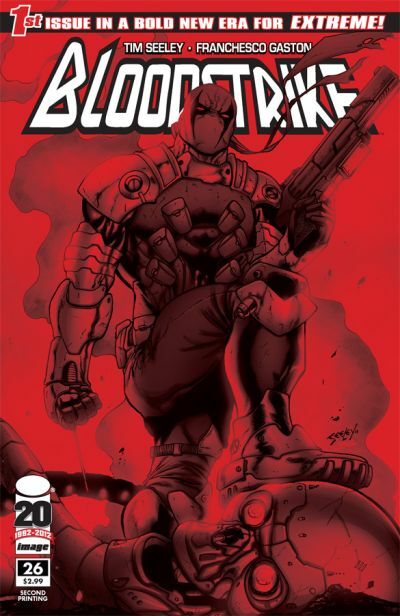 The relaunches of Rob Liefeld’s Extreme line for Image Comics has continued to be a sure bet for retailers, as the debut issue of the latest title, BLOODSTRIKE #26, has sold out. The continuation of the story of Cabbot Stone, a black-ops soldier who can survive any injury, thanks to a shadowy military program called Project Born Again, is written by Tim Seeley (HACK/SLASH) with art by Franchesco Gaston, and is in stores today, March 28. A second printing of BLOODSTRIKE #26 (FEB128069) will be in stores on April 25, the same day as BLOODSTRIKE #27 (FEB120496).